Hitman Sniper topped our roundup for the best premium shooting games, and it's easy to see why. Straightforward yet intense story. Awesome visuals. Stealthy action. Strategic gameplay. Hitman Sniper is easily the best sniper game available for your smartphone, and it's currently free on Android for a limited time, as well as discounted for iPhone. In Hitman Sniper, you play as the elusive Agent 47, behind the crosshairs, to carry out professional hits on high-value targets in scenic Montenegro. Missions consist of assassinating primary targets as efficiently as possible while avoiding detection by security personnel, with the added option of completing secondary objectives such as eliminating a given number of guards and performing kill shots. Points and currency that you acquire can then be used to unlock more powerful and efficient sniper rifles and accessories to help ensure continued success. As simple as the game sounds, there's actually more to it than meets the eye. Eliminating targets with stealth and accuracy is key in Hitman Sniper —going full-on Rambo and killing more targets than necessary increases your chances of getting detected and failing the mission. The game has tremendous replay value and features more than 150 missions, giving you an opportunity to mix and match your weaponry and tactics to perform your missions more efficiently. In addition to weaponry and gear, skills and perks can also be unlocked through progression to make you even deadlier on the field. If that's not enough action for you, Hitman Sniper also features a zombie-killing challenge mode, aptly named Death Valley, to test out your shooting skills to the limit. So what are you waiting for, install Hitman Sniper now for free from the Google Play Store while you still can, and add it to your library before it goes back to its premium status in a few days. In the iOS App Store, it's going for $0.99, which they claim is 80% off, though we've seen that price for awhile now. 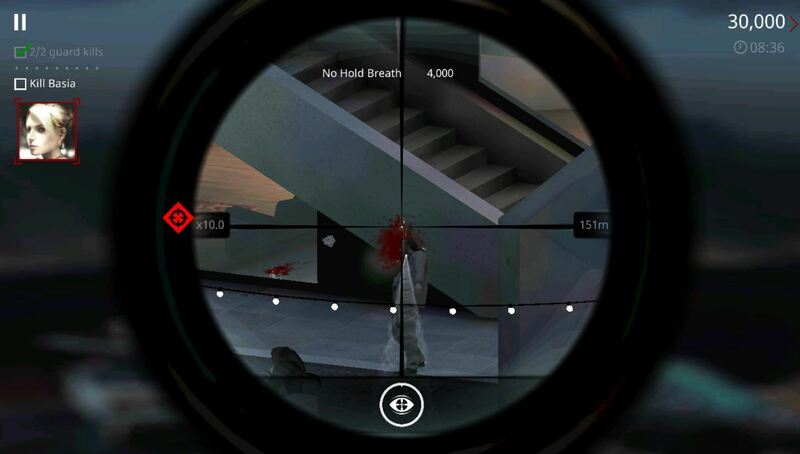 What do you think of Hitman Sniper? Don't forget to post on the comment below to share your thought or any tips you may have regarding this addicting game.